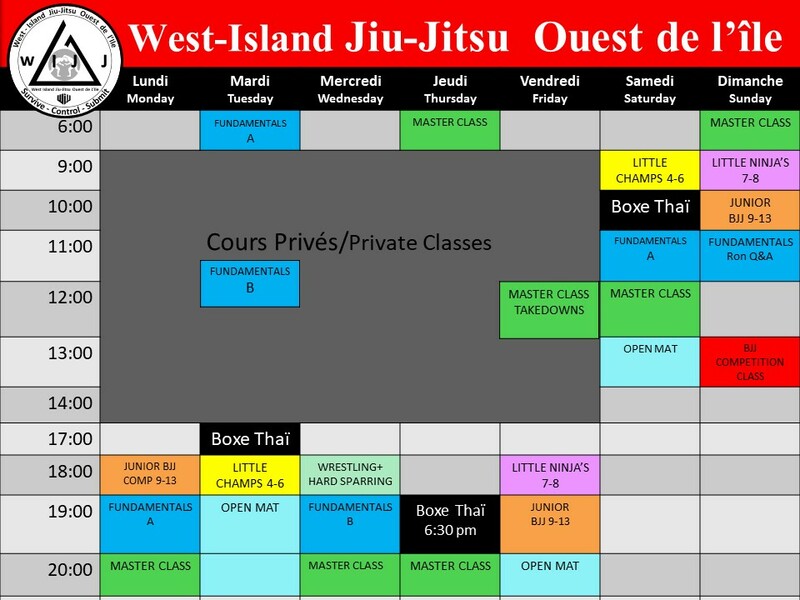 West-Island Jiu-Jitsu was founded in 2003 by Ron Pattyn and is the original Brazilian jiu-jitsu school of the west island of Montreal. Our main studio is established inside the fitness city location. 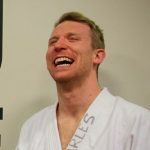 Our mission is to empower those that need it the most through the leverage based techniques of Gracie jiu-jitsu. Indeed, self-defence is a very important element of the art that is neglected by many other jiu-jitsu schools that focus only on sport. The self-defence aspect of the art is what makes it truly effective. We pride ourselves in making jiu-jitsu available to everyone with our beginner program, advanced program, jiu-jitsu for children and a women’s self-defence 24-week certification as well as Thai Boxing classes. You will feel welcomed, embraced and comfortable the moment you walk in the academy. You get to train with us in an ego-free zone, as safety is one of our top priorities. The structure or our programs make it easy for you to understand and follow your progress. We guarantee the most comprehensive learning experience of your life as our instructor always make the techniques work for you no matter your body type. Structure, safety and street readiness is what we want to give to you and its what we promise to you each and every single class. Our moto is simple: Jiu-Jitsu for all. Jiu-Jitsu is becoming one of the most popular martial art today. It exists as a very stimulating form of sport for the body and the mind, is a core part of MMA, but is also a complete system of self-defence standing up and on the ground. The techniques are based on leverage and timing rather physical attributes. Its for anyone that desire to learn how to effectively defend themselves. 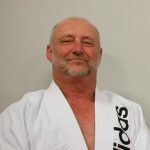 Ron Pattyn is the founder of west-island jiu-jitsu. He started his martial arts career in 1991 and holds a 2nd degree black belt in kyokushinkai under Jocelyn Dubois, a 3rd degree black belt in Thai Ju-Jitsu under Canadian MMA pioneer Nigel ¨The Iron Panther¨ Scanthelbury and a Brazilian jiu- jitsu black belt under Sylvain Moroney (4 th degree black belt under Royler Gracie). Ron is known for his down to earth personality and no non-sense approach to teaching martial arts. Known to have produced very high level competitors, he prides himself in teaching the simple details that make jiu-jitsu so effective. Respect and integrity are the most important values for Ron and this shows in the school culture. Kevin has been involved in martial arts for over 20 years. He started his career in kempo karate and holds a black belt under Danny Griffith. 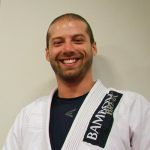 He has 2 years of experience under Ron Pattyn in Thai Boxing, 1 year of experience in judo and holds a brown belt in Brazilian jiu-jitsu under Ron Pattyn. He has trained with world class practitioners like Royler Gracie and Bruno Fernandez. Kevin makes the techniques easy to understand and he brings a fresh and energetic aspect to class. Charles has been involved in martial arts since 2008. He has travelled many times to California to train with some of the best in the world such as Rener Gracie and Kron Gracie. He has attended many seminars with masters such as Ryron and Royler Gracie. He holds a brown belt in Brazilian jiu-jitsu under Ron Pattyn. Charles has a great ability to teach and will always make you feel embraced and welcomed every time you come to class. His goal is to make you fall in love with jiu-jitsu as much as he did.